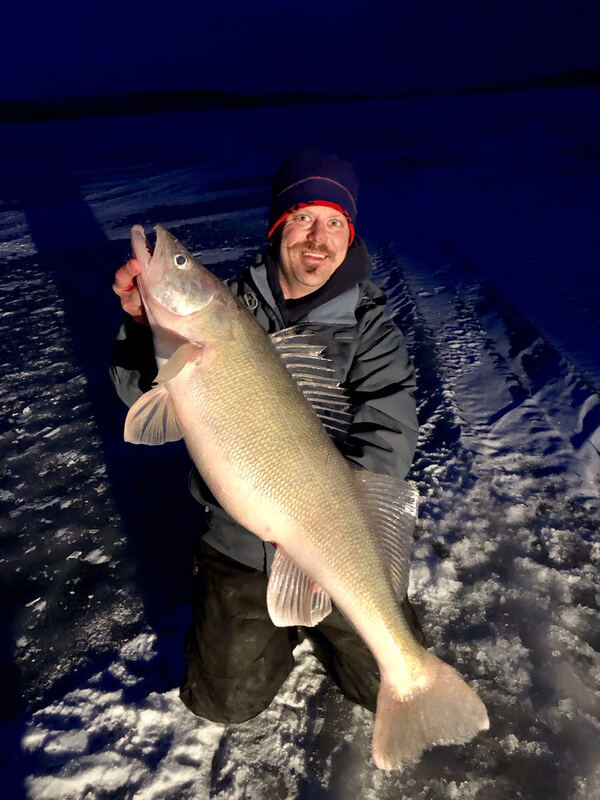 Pictured is a giant 34” 16lb walleye that Wayne Wilcox and Trevor Johnson caught together at Crooked Creek this last weekend. The fish came out of 6 feet of water. The Walleye was put back through the ice it came out of. 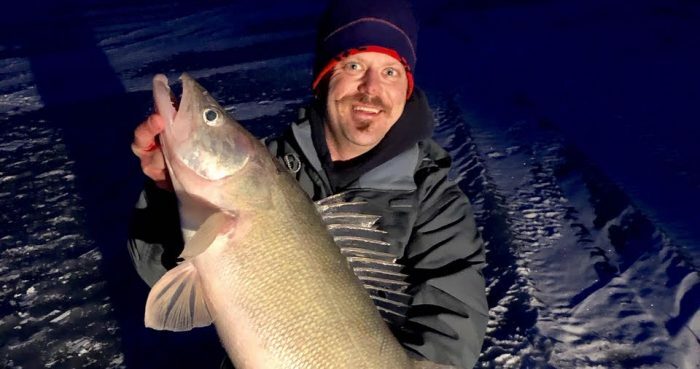 Trevor Johnson of Kit’s Tackle and Wayne Wilcox of DeadEYE Fishing love fishing the big pond Fort Peck through ice or in open water!